Because of the shortcomings of fluoroscopy, some electrophysiologists use electroanatomic mapping systems like Ensite NaVx (St. Jude Medical) and CARTO (Biosense Webster), which provide colorful 3D images that show variations in a patient's anatomy. These systems may assist doctors in assuring that lesions are contiguous (no gaps) and in reducing complications, such as perforation of the heart or esophagus. In addition, the use of an electroanatomic mapping system may lessen the time that doctors and patients are exposed to radiation. However, the systems are expensive, so they are not available at all facilities. Using these systems, electrophysiologists create a real time 3D view of the heart by positioning a mapping catheter in the heart. When the doctor moves the catheter in a sweeping motion, the systems track the catheter's location. CARTO and Ensite NaVx use different methods to do this. In a CARTO procedure, the table where the patient lies has an electromagnetic pad that tracks movement of the catheter, whereas in an EnSite NaVx procedure, patches on the patient's skin track the catheter. Both systems use algorithms to translate data on the catheter's location into a 3D image. It usually takes about 20 minutes to complete this process. Electroanatomic mapping systems are sometimes called multi-modality mapping or image integration systems because they can show pictures or data from other sources. For instance, patient CT or MRI scans taken a few days or weeks before the procedure may be loaded onto Ensite NaVx or CARTO and matched with the real time 3D image of the heart. The doctor does this by moving the catheter slightly, verifying its location in the heart, and taking note of large structures like the pulmonary veins. After several common areas on the two images are identified, the system merges the real time view and pre-procedure scan into one 3D picture. It usually takes about 15 minutes to complete this process, which is called registration. However, the positioning of anatomy can even change within just a week, so if the pre-procedure scan doesn't easily correspond with the real time view of the heart, it can take much longer. Electroanatomic mapping systems also provide real time data on electrical activity within the heart, which means that electrophysiologists can see whether conduction block has been achieved. The systems also provide other real time information, such as atrial pressure and volume, so doctors can easily monitor the patient during the procedure. To learn about advanced navigation systems, see Robotic Catheter Navigation. To learn more about whether catheter ablation is appropriate for you, see Are You a Candidate for Catheter Ablation. 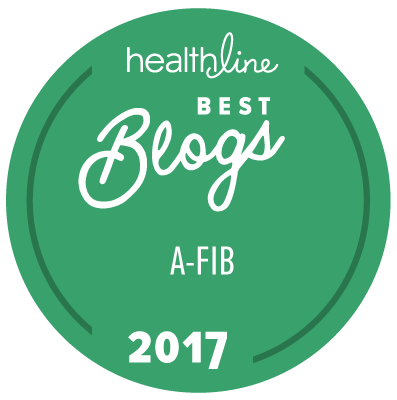 Disclaimer: Some companies mentioned on this site may be donors to StopAfib.org but do not receive favored treatment in coverage as atrial fibrillation patients are our first priority.